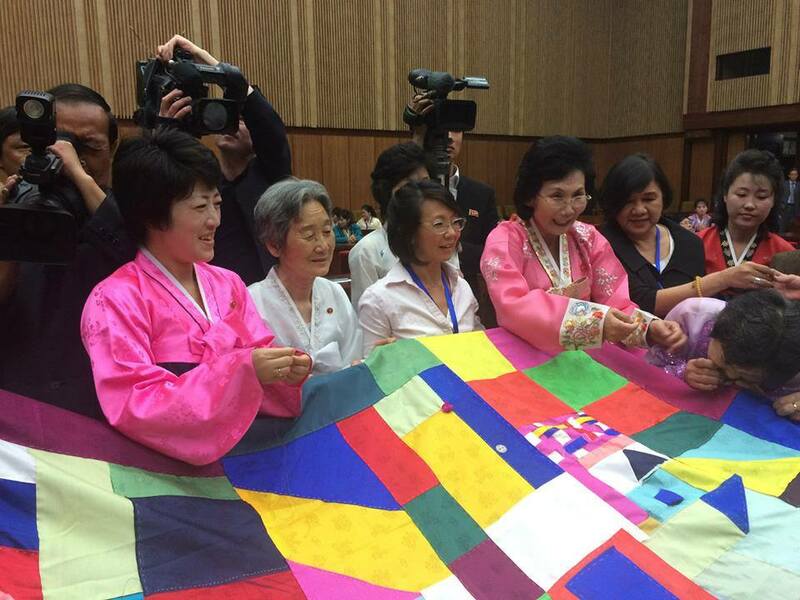 Women Cross DMZ (WCDMZ) are women peacemakers from around the world walking and working for peace in Korea. The Peace Development Fund, their fiscal sponsor, supports community-based peace and social justice organizing through grants, technical assistance, and other resources. 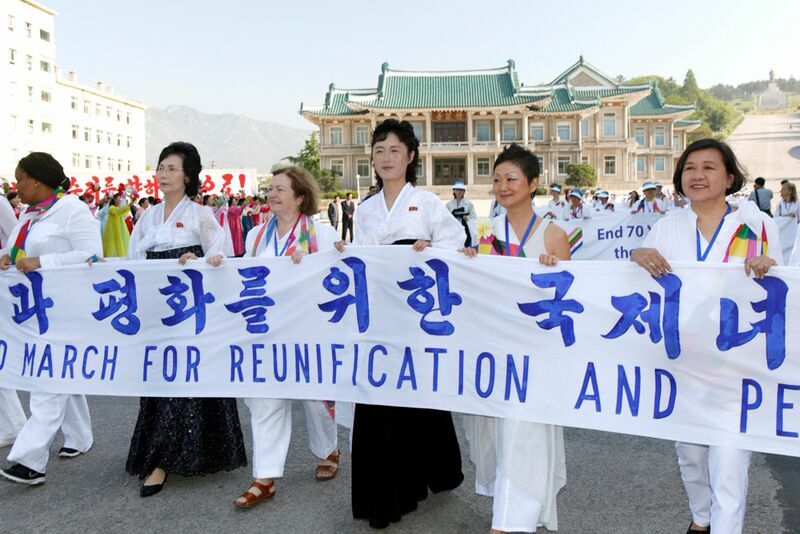 2018: Channel made a grant to Women Cross DMZ (WCDMZ) (via the fiscal sponsorship of the Peace Development Fund) to continue support for their educational, organizing, and advocacy efforts engaging peace activists and the public around building peace on the Korean peninsula in 2019. 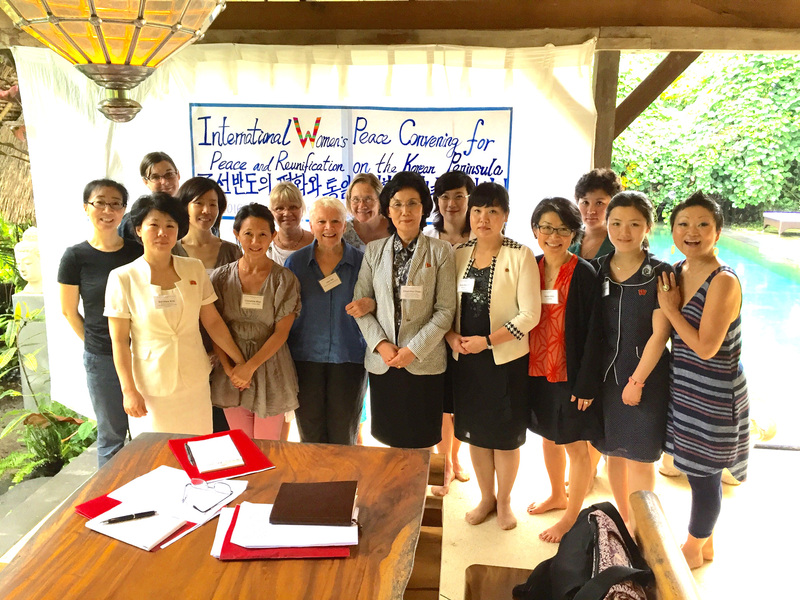 In 2019, WCDMZ’s women-led Korea Peace Treaty Campaign will help develop and implement an effective public relations and communications strategy targeting key cities across the United States. In the coming year, WCDMZ will educate members of the new incoming U.S. Congressional delegation and will also help engage and mobilize their constituents via city-based coalitions focused on a Korea peace treaty. On March 14th, 2019, WCDMZ officially launched the Korea Peace Now! 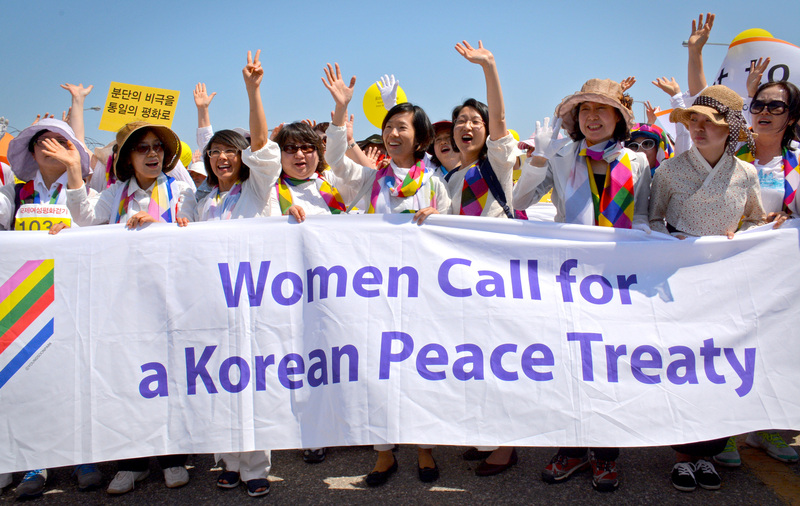 Women Mobilizing to End the War campaign to end the war on the Korean Peninsula. 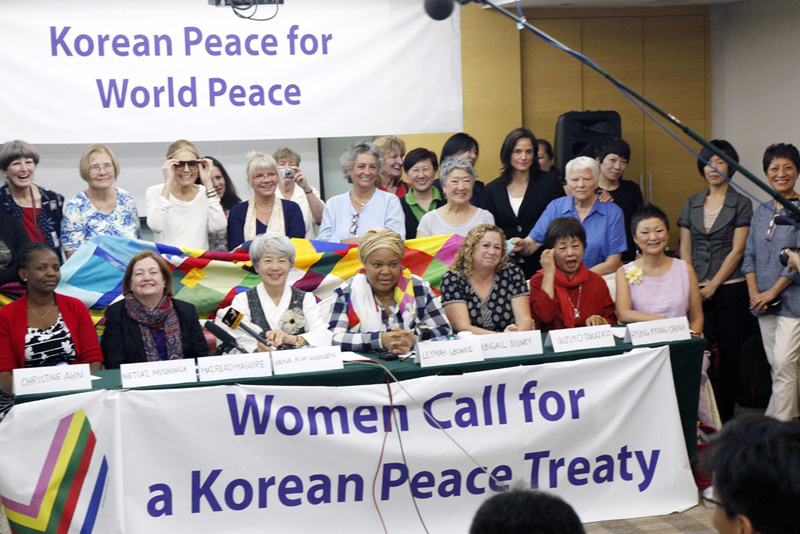 The campaign “is a global coalition of women’s peace organizations calling on the United States, North Korea, South Korea, and China to end the Korean War, sign a peace agreement, and to include women in the peace processes.” The campaign was co-founded with Channel grantee partner Women’s International League for Peace and Freedom (WILPF), Nobel Women’s Initiative and the Korean Women’s Movement for Peace. 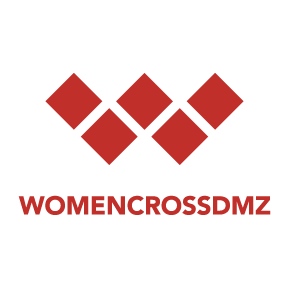 2017: Channel made a grant to Women Cross DMZ (WCDMZ) (via the fiscal sponsorship of the Peace Development Fund) to support their educational, organizing, and advocacy efforts engaging peace activists and the public around building peace on the Korean peninsula in 2018. 2016: Channel made a grant to WCDMZ (via the fiscal sponsorship of the Peace Development Fund) to support the strengthening of their capacity to move a pro-peace agenda for the Korean peninsula via partnerships with key national, regional and international women’s and peace organizations and within a Northeast Asia Women’s Peace and Security Working Group to help formulate policy recommendations for governments. 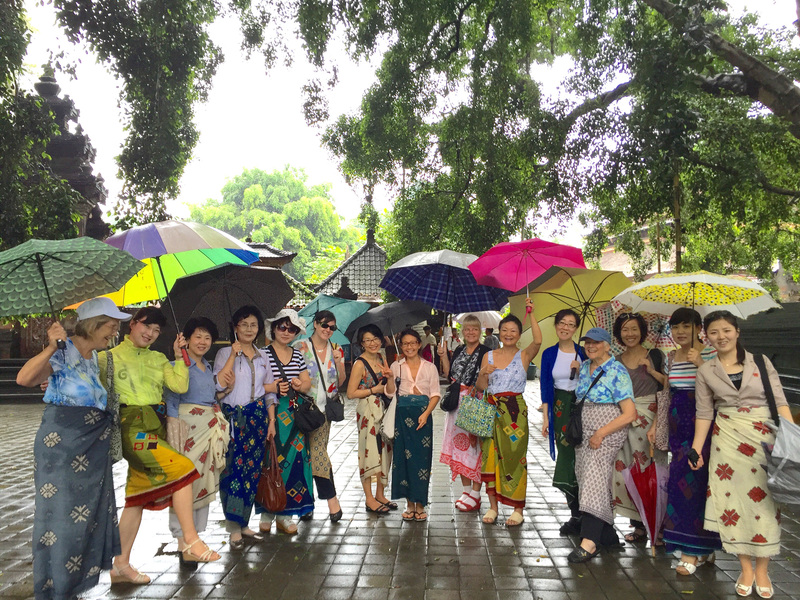 2015: Channel made a grant to WCDMZ (via the fiscal sponsorship of the Peace Development Fund) to support a Women’s Peace Summit in Bali, Indonesia which included delegates from North and South Korea (who met separately) and international delegates in Spring 2016. At the Peace Summit, WCDMZ undertook four key activities: 1.) Discussing the substantive issues on peace and reunification of Korea from a woman-centered view, including the role of UNSCR 1325 in the Korean context; 2.) Strategizing together the contours of a transnational peacebuilding campaign; 3.) Sharing stories to deepen understanding; and 4.) Engaging in team-building and artistic activities. In addition, in March 2016, WCDMZ organized a panel at the 60th meeting of the Commission on the Status of Women (CSW) at the UN that included women from the Summit and focused on collectively advocating for normalization, demilitarization, and peace. Women Cross DMZ’s Founder, Christine Ahn is frequently sought out to provide analysis on the situation and chances for peace on the Korean peninsula. She has been interviewed on numerous broadcasting networks including BBC (April 27, 2018), CBC, and TheRealNews. Ann Wright, retired U.S. Army colonel, former U.S. State Department diplomat and current member of Women Cross DMZ was interviewed on Democracy Now! (April 27, 2018) to discuss the long awaited end of the Korean War. On September 20, 2018, Middle Eastern and Worldwide publication, Al Jazeera, featured Christine Ahn speaking about the Pyongyang Summit. The March 18th, 2018 Global Call for Peace video call featured Christine Ahn alongside US Senator Bernie Sanders and others. The first-of-its kind global video call engaged over 80,000 people from 45 countries around the world. Anh discussed the situation on the ground in Korea and shared insights about what successful diplomacy would require and what people everywhere can do to help.